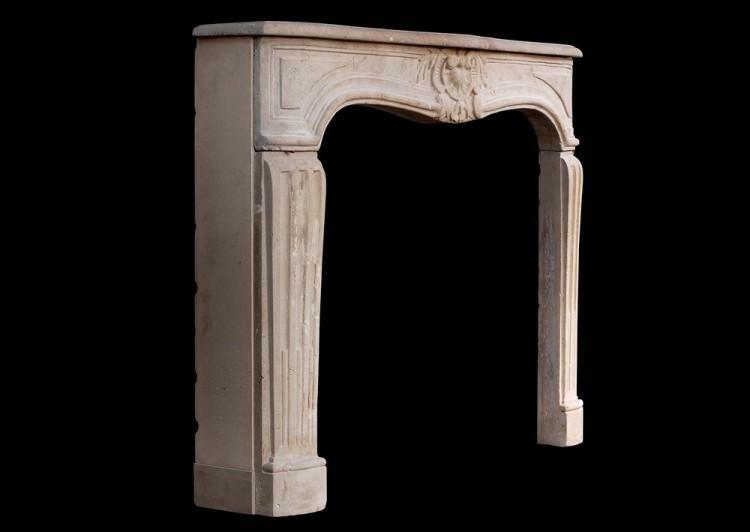 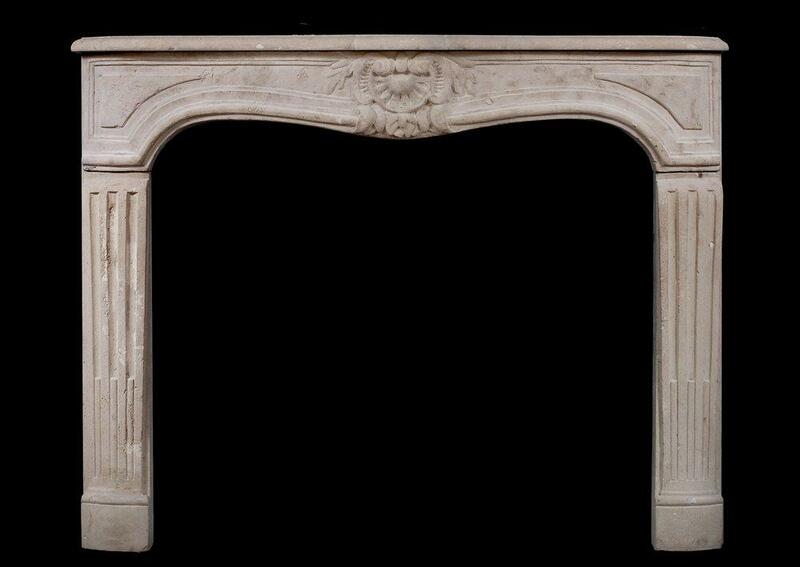 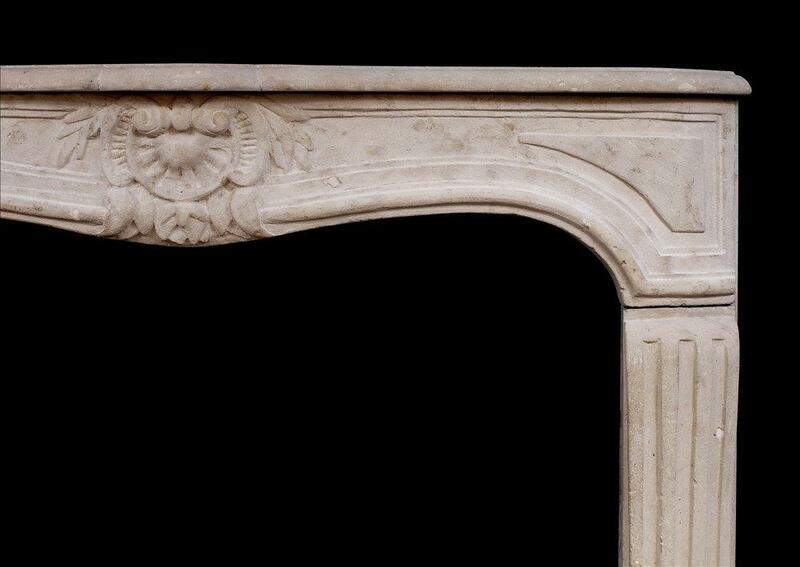 An attractive 18th century French Louis XV limestone fireplace. The panelled frieze with carved shell to centre and foliage, the shaped jambs with stop-flutes. 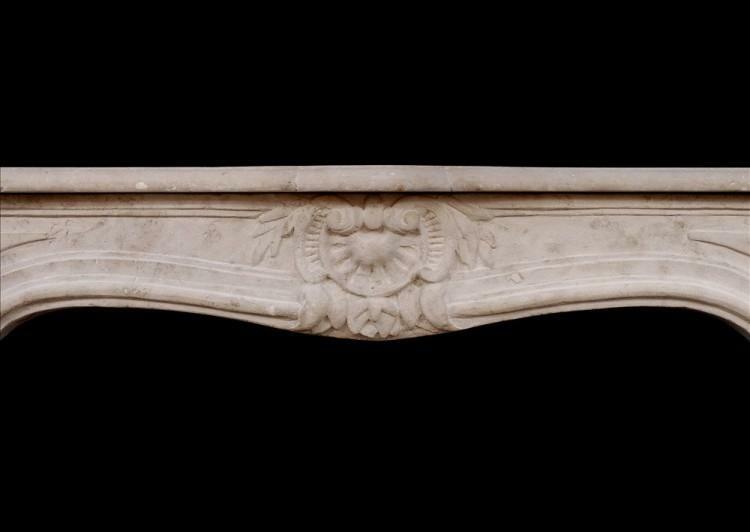 Moulded shelf.